To be certain, 2017 has been a milestone year for Ward Village. 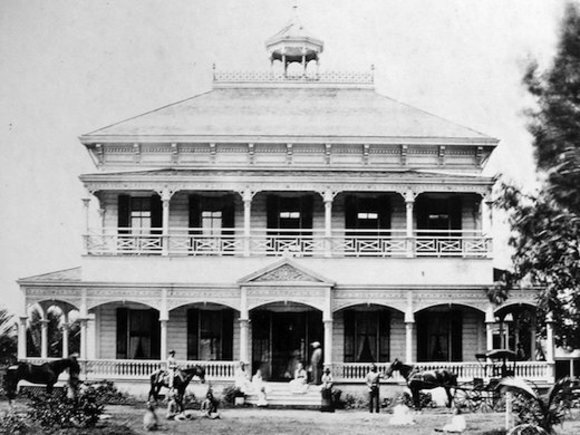 Tremendous strides have been made to forge a community that's both rooted in its reverence for the past and committed to creating a brighter future for its residents and the people of Honolulu. 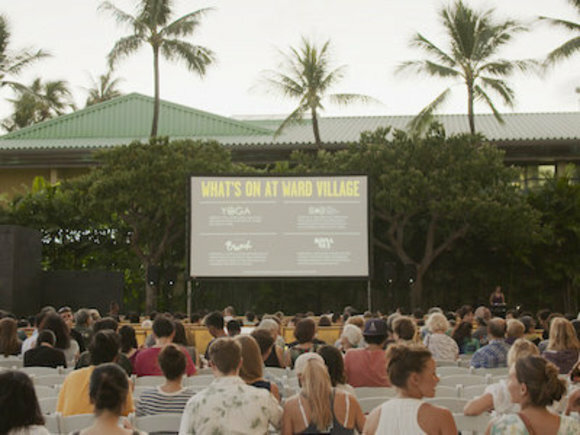 In years to come, 2017 will be marked as the year that Ward Village truly coalesced and a community came into its own. Below, we've highlighted a handful of the monumental achievements that occurred in the past year. Routinely regarded as one of the premier architectural publications operating today, Architectural Digest is viewed as a benchmark in design, building, and interiors. 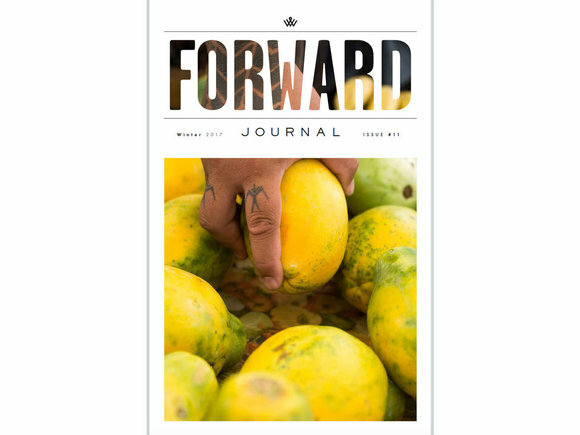 Earlier this year, the magazine bestowed a tremendous honor upon us when they recognized Ward Village as the Best Planned Community in the United States. "Sixty-acre Ward Village, in a former Honolulu warehouse district, was made for design nerds—and beach bums," wrote the publication. 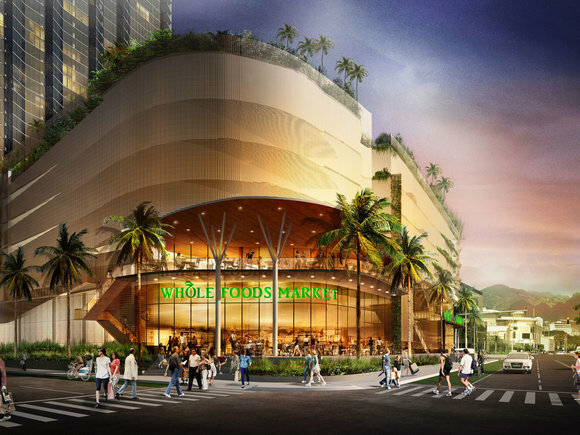 "Five mixed-use towers, within walking distance of the Ala Moana Bowls and Kewalo Basin, are designed by some of the country's best architects. 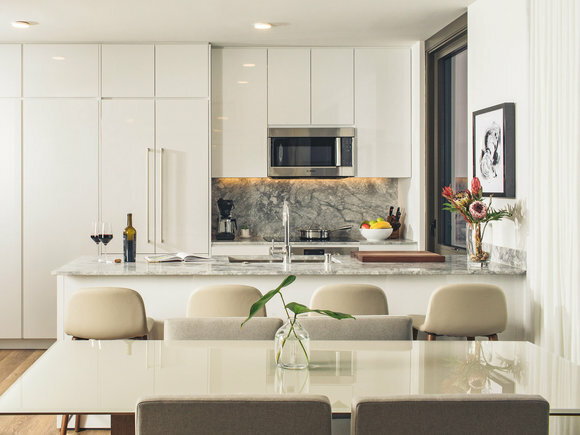 It also presents the first Hawaii project for most of them, including Richard Meier, Peter Bohlin, and Jeanne Gang, with interiors by Tony Ingrao. The Vladimir Ossipoff-designed 1960s modernist IBM building, meanwhile, serves as a sort of town center, renovated by Woods Bagot to be heavy in local materials, like lava stone, and feature traditional Hawaiian motifs on the floors and walls both inside and out." All that, and we're just getting started. Sophisticated, elegant and offering a wealth of amenities, Anaha is redefining the architectural landscape of Honolulu. In October of this year, we were thrilled to officially celebrate its grand opening and welcomed the tower's first residents to their new homes. Designed by award-winning architecture firm Solomon Cordwell Buenz, in partnership with Honolulu-based Benjamin Woo Architects, Anaha features more than 300 units complete with some of the most jaw-dropping vistas you'll find in the city. From a design standpoint, the building is a true work of art and manages to offer inspiring modern lines, countless amenities, and a true sense of place. 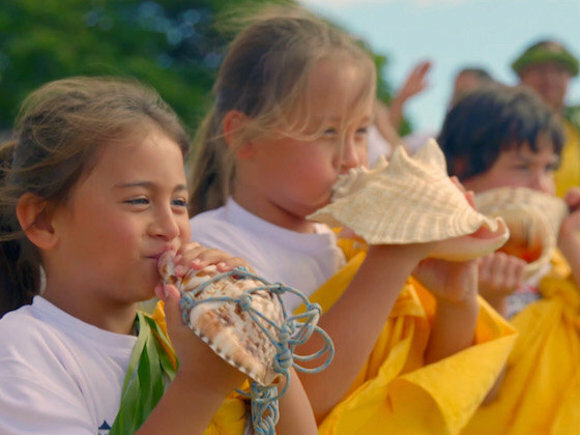 "We talk a lot about transforming vision into reality and with the opening of Anaha, we're marking a proud moment for our community," said Todd Apo, Vice President of Community Development for Ward Village. "With the opening of this tower, we're seeing the vision of a vibrant lifestyle become reality. Residents and visitors alike will enjoy a pedestrian-friendly neighborhood connecting them to a bevy of dining, shopping and entertainment options. Whether it's meeting friends at a nearby café or enjoying a family outing, Ward Village offers something for everyone." 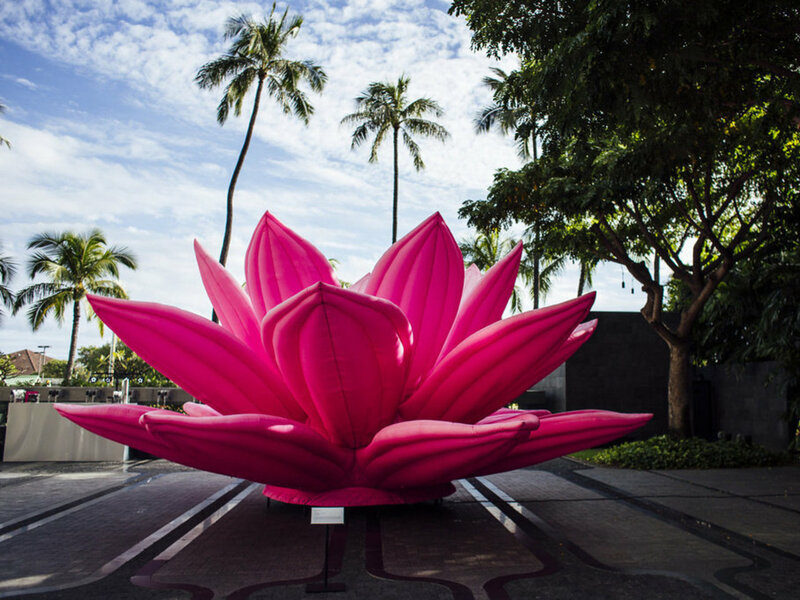 As one of our crowning achievements of last year, we were thrilled to play host to the inaugural Honolulu Biennial. Showcasing an eclectic mix of contemporary art sourced from throughout the Pacific, the biennial proved to be a monumental success by all measures. By showcasing work from the likes of Yayoi Kusama and Zhan Wang—to name just a few—the biennial helped solidify Honolulu's position in the art world as a true cultural destination. "There's an energy here in Honolulu," wrote Cristiano Cairati, a New York City-based art collector, in the New York Times. "It's the same energy of endless possibilities that New York had in the late '80s and '90s, when you could be and do anything." By exhibiting the work of artists from all around this vast region in a variety of locales (the bulk of which were housed in Ward Village) the Honolulu Biennial not only elevated Ward Village as a haven for art enthusiasts, but lifted the city's cultural prowess as a whole. In cities far and wide, a cultural shift is underfoot. We're redefining the ways we live, work, and play. Marked by convenience, quick access to shops and restaurants, and a desire to live a life outside of four walls, we call it the Smarter Living Movement and we've crafted an entire residential tower around it. Late this year, we officially announced the plans to create 'A'ali'i, a tower unlike anything Honolulu has ever seen. With a focus on smarter living, turn-key move-ins (everything you'll need for your new home will be provided) and community, 'A'ali'i represents a new chapter in the the city. In the coming year, we look forward to showcasing new developments for this revolutionary tower that reimagines contemporary urban living.